If there was ever a time to start, carry on or obsess about gardening…this is it. Except for dirty hands, occasional sore muscles and rages against the weather, it’s the one pastime that doesn’t discriminate against anybody or anything. 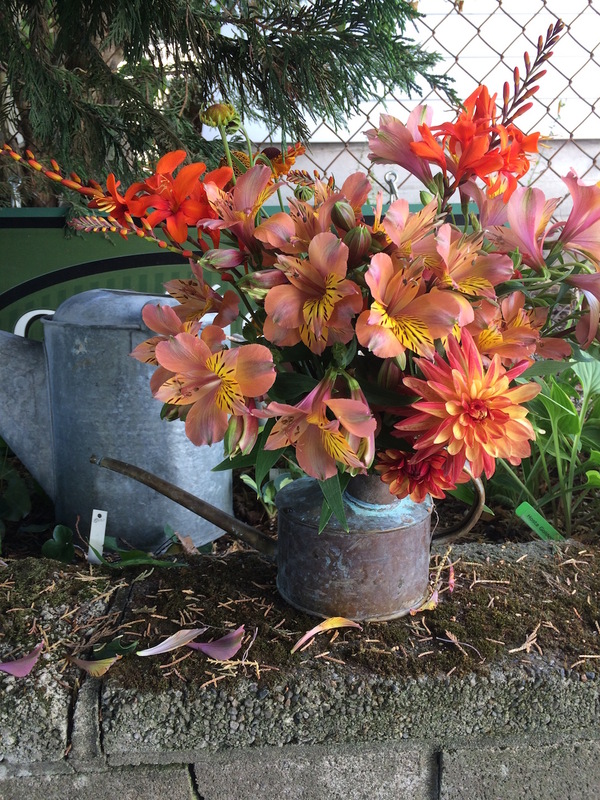 Alstroemeria are the cut flower growers’ sweet spot right now. They’re easy to grow, easy to transport and they last a crazy long time in water. You can buy them or for the price of a couple of cups of fancy coffees, you can grow your own. Granted, many of the Alstroemeria varieties and species are invasive but who cares? More flowers. Pull out, don’t cut the flower stems and they will keep regenerating. They grow in sun and bloom June-October. Seed-starting failures have prompted many gardeners to completely give up on the process. Totally understandable, especially if you start with seeds that have to be frozen, set on fire or scratched. It doesn’t just take patience; it takes expertise for those. Make it easy on yourself. Just a bee and a Zinnia from a mixed packet. This is the third edition of a classic perennial book. It must be good. It sets itself apart from other perennial books because it is not just a rehash and reorganization of everybody else’s experiences. It’s current and it’s comprehensive. Sibato-Aust writes about more than planting and laying out perennial gardens. She goes into detail about how to maintain them. There are decisions to be made with perennials. Where should they be planted? Do you need to stake them? Do they respond to dividing and when do you divide them? Do you cut them back or just deadhead them? Just exactly what kind of pruning is needed for each perennial? 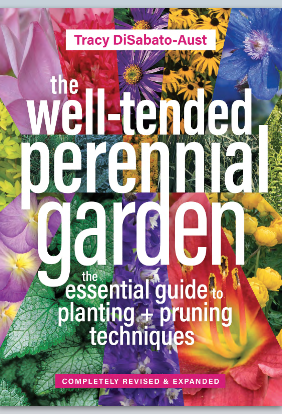 All of those questions are answered along with an encyclopedia of the most popular perennials available and their vital statistics.